Honestly I don’t have that much to say here besides the fact that I really really love this book. This was one of Agatha Christie’s favorite books and I can see why. There are a lot of twists and turns and I thought I figured out the perpetrator, but per usual, I was wrong. 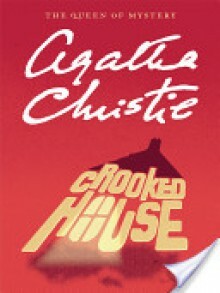 “Crooked House” follows the character of Charles Hayward, as he goes about investigating who could have murdered his potential fiance’s (Sophia) grandfather, Mr. Aristide Leonides. Christie sets up the book so readers get to read about Charles and Sophia and their time together before the war (WWII) before the book transitions over to post war England with both of them back dealing with the aftermath of Sophia’s grandfather’s death. Due to Charles’s father having a high position at Scotland Yard he is called upon to go down and determine if he can figure out just by watching and listening who killed Sophia’s grandfather. Sophia smartly realizes they cannot have a future until it is determined who murdered Mr. Leonides. We do get some interesting characters in this book such as Sophia’s younger sister Josephine, and her younger brother as well. Also Sophia’s father is kind of a cold fish and her mother is an actress which apparently means drama drama drama. There’s also an interesting uncle and aunt as well as the great aunt of Sophia’s grandmother that still lives with the family. I like that Christie does a very good job in just a few short scenes of showing who all these characters are and what ultimately moves them by the end of the book. Christie’s quite smartly lays out a couple of clues that if you’re paying attention you could figure out who the murderer is, but honestly I didn’t notice any of this till the very end. One thing that I did like though is that you get to see Charle’s hypocrisy in a couple scenes with him feeling bad for Sophie’s step-grandmother and just kind of ignoring the signs of what type of woman that she really is. The writing is top-notch Christie. I know this is no “The Murder of Roger Ackroyd” but I can definitely see myself re-reading this again and again in the future. Share the post "There Was a Crooked Man…"